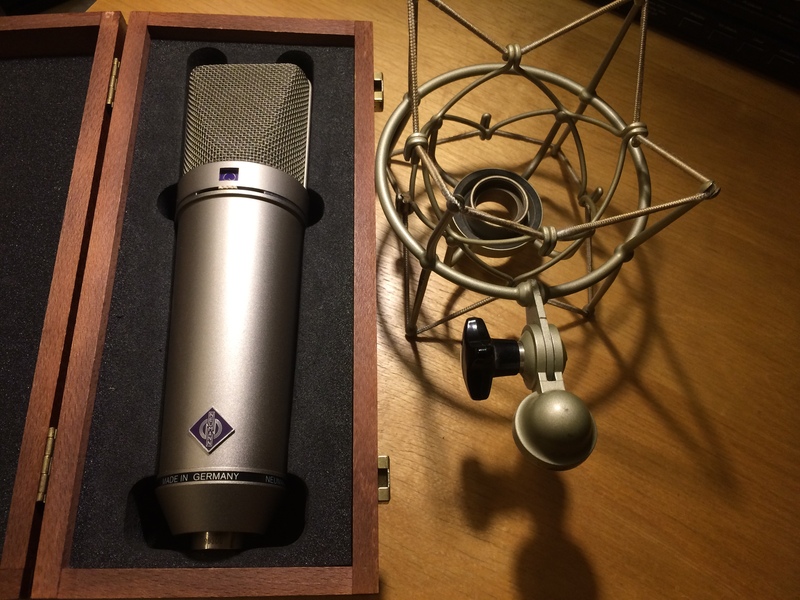 U 87, Large diaphragm condenser microphone from Neumann in the U 87 series. 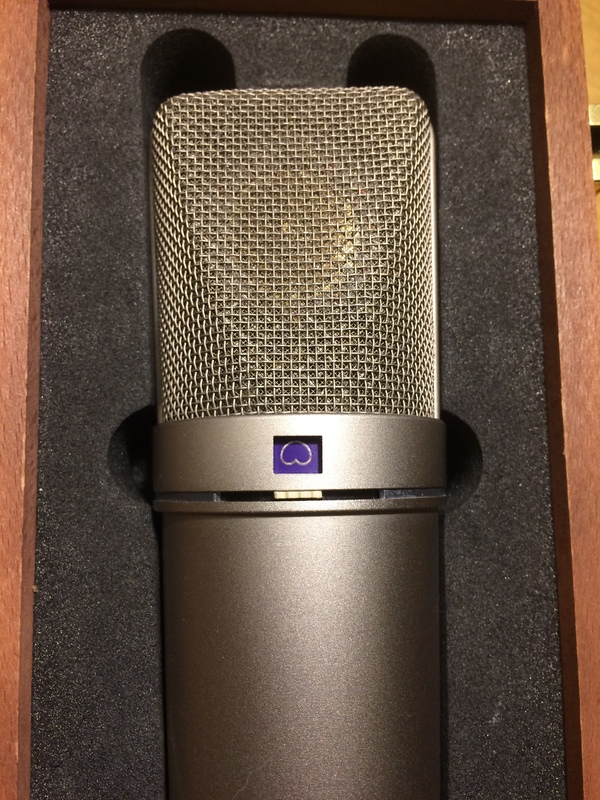 chrislieck's review"One of the BEST but Expensive"
I have used U87s for 30 years and I must say they are the best microphone for vocals (aside from the 3K bump) that you will ever find. I do like the U67 better if you have the money. It is the best mic every made. The U67 is the warmest of this mic line by far. The U87 has a specific sound. It is classic sound. Recently you are hearing more high end enhanced vocal sounds ala Katie Perry. This mic is more of a round sound whereby the low end is very present. The U87 is a mic that you will use ever day of your life and for most any application. So if you have the money BUY ONE. We use this at the studio for 20 years www.chrislieckstudios.com or at my school of recording www.comia.us. At times the high mid boost can be very annoying and I move on to an AKG 414, but I don't go by specs I go by the one thing that matters, my ears. Each vocalist is different, and each has their own issues. Some can use a U87 and it is the best sound they will ever get. Some a U87 can sound very harsh. The high mid boost is very noticeable in some situations. I mostly like it for hard hitting vocals and I only use API Pre Amps when I am using the U87. I don't use any other Pre Amps. The low end at about 50hz is smooth as can be. The very best vocal mic (ala warm mic) that you will ever buy. Today's sound has all the low end removed so you need to study vocal sounds and compare the older more warm sounds like John Mayer verses a Rhianna sound or a sound that has all the low end removed. The U87 is the standard of professional recording. I do think if you going to spend a great deal of money on one microphone then of coarse the U87 is a the industry standard for vocals but again it does have a specific sound. Some of the newer records are going for a more high top end sound and are using a great deal of post plug ins to get the sound more punchy. I also use the 87 on room mics, sax, trumpet, room kick drum micing and at times snare or under snare. It is a very good piece to own. theaudioandvideoguy's review"scary price tag, but GREAT"
The Neumann U87 is a classic microphone that has been around for a while. I wish I could afford to have this mic in my house but there is no way that I can spend that kind of money for my personal gear collection. 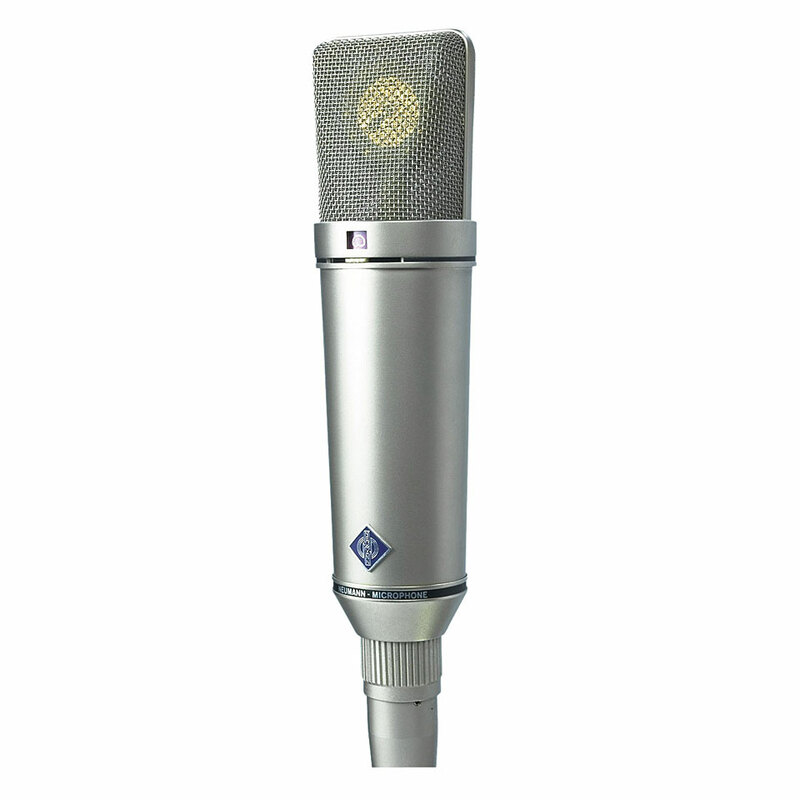 A local studio that I go to from time to time does have the Neumann U87 as one of the main mics and after using it I can see why. Its just flat out amazing and the quality cant be matched but any other mic in its price range. But that is just the problem, the price range. There really isn’t anyone else that know that can purchase this mic for their house studio without breaking the whole bank account. The mic is just too expensive, but if you are lucky enough to have the money to get it, the quality that you will get just cant have a price tag on it. It will do more than pay for itself, there is no substitute for great quality and the Neumann U87 will provide that if you can afford it. Even if you are looking to get a used one you will still have to pay at least 75% of what a new one cost because the price of the U87 doesn’t just drop even though it has been out for a while now. 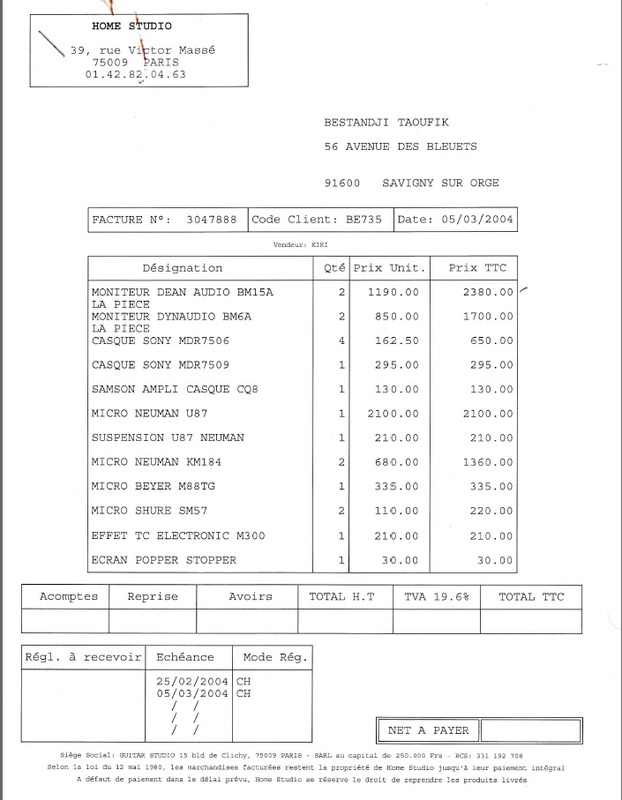 Brand new the mic is going for over 3 thousand dollars online, I just don’t know who can afford that unless you have a decent studio budget that you can work with. If that’s the case then you will need to get this mic because it is everything you could want and more. If you are a higher tone singer, using this mic is a must or even no matter what your tone it, but higher tones sound beautiful on the U 87. Excellent microphone. Perfect for any recording application. Vocals, guitar, violin, choir, etc. I use it with a Tube-Tech MP1A: It's difficult to get a better combination, the result is just amazingly wonderful. This is of course the legendary U87. Many would argue that this is the industry standard for recording great vocals. It is a large diaphragm condenser with a switchable polar pattern (cardioid, omni, and figure 8), an attenuation pad, and a high pass-filter (both switchable). I have owned one for about 2 years. It is very hard to beat this mic on vocals. Recordings sound wonderfully accurate, clear, and open, with very sweet highs. In addition to being great on vocals, it really does sound good on almost anything you stick in front of it. I use it frequently for acoustic guitar and solo violins, and sometimes on electric guitar cabs. I only have one and haven't tried it, but many people use these as high-end drum overheads or room mics. They are also quite popular for use in recording classical music, when very accurate response is demanded. The switchable polar pattern is a great feature on this mic, as it makes it almost 3 mics in one. If you have a couple of these, putting one in figure 8 and one in cardioid lets use the M/S stereo technique, which is great for adding variable width to recorded sources. I have used a wide variety of large diaphragm condensers, and this one really does live up to its reputation. Singers who have never used one are often wowed when they hear their voice back by just how accurate and lifelike their voice sounds when recorded by a U87. They are built to a very high standard, so you can count on them not to junk out on you as well - they're built to last. At nearly $3,000, they are certainly not cheap. 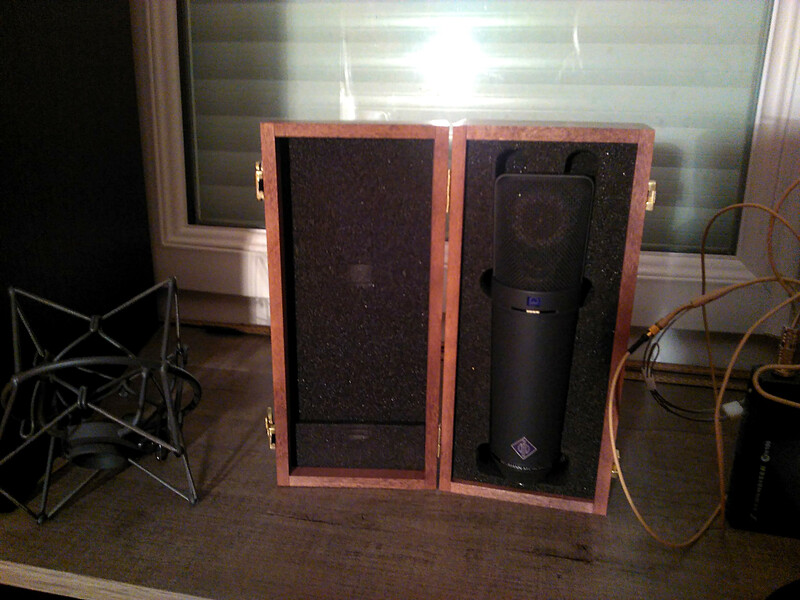 But for anyone who wants to get some truly great sounding vocal recordings, this is the thing to save up for. You won't regret it. I would absolutely buy it again - I'm almost never disappointed with the results I get with the U87.